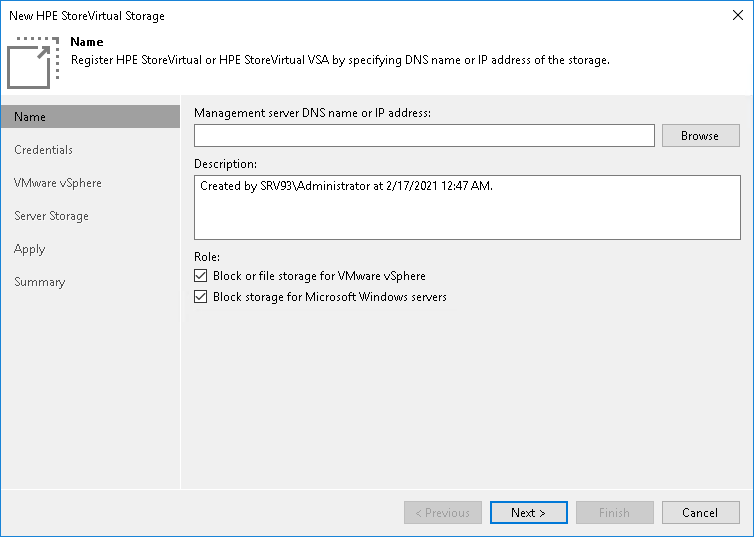 On the right of the Management server DNS name or IP address field, click Browse and select an HPE storage management group. You can also type a DNS name or IP address of the storage management server or storage cluster in the Management server DNS name or IP address field. In the Description field, provide a description for future reference. The default description contains information about the user who added the management group, date and time when the HPE management group was added.